There are lots of things that I’ll never understand in this world: Why Katie married Tom, this weird Higginsbottom particle, or why, when waiting for public transit, twice as many buses, streetcars or subway trains pass in the opposite direction than I’m traveling. Without fail. 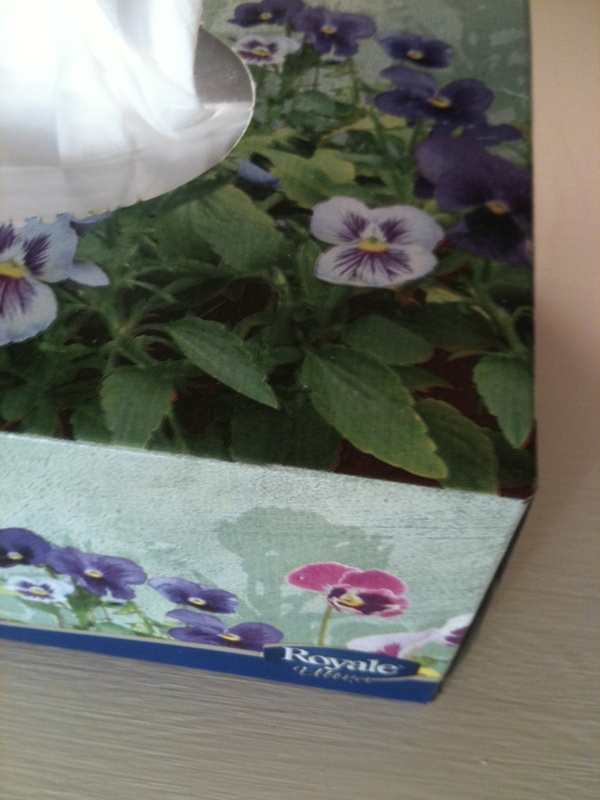 But perhaps the most perplexing conundrum of all is why the heck Kleenex box designs are so freaking ugly. I mean, really! (Did you just picture Seth Meyers on Weekend Update? Me too!) We live in a design-driven world where you can even count on a box of tampons to have whimsical fonts and calming packaging that make you temporarily forget about your excruciating menstrual cramps. But not Kleenex boxes. No, Kleenex manufacturers are the last to adapt to our aesthetic-based consumer needs. It seems they own rights to the same garish artwork found at Costco: outdated scenes of wildflowers, butterflies or lily pads. This complaint isn’t exactly justified, since some on-trend brands understand their audience and decorate their boxes with cutesy stripes or polka dots. But y’know what? Those brands cost more. And why would I spend more money on tissues when I could spend it on something really cool, like new pens or a cupcake? Oh my god. 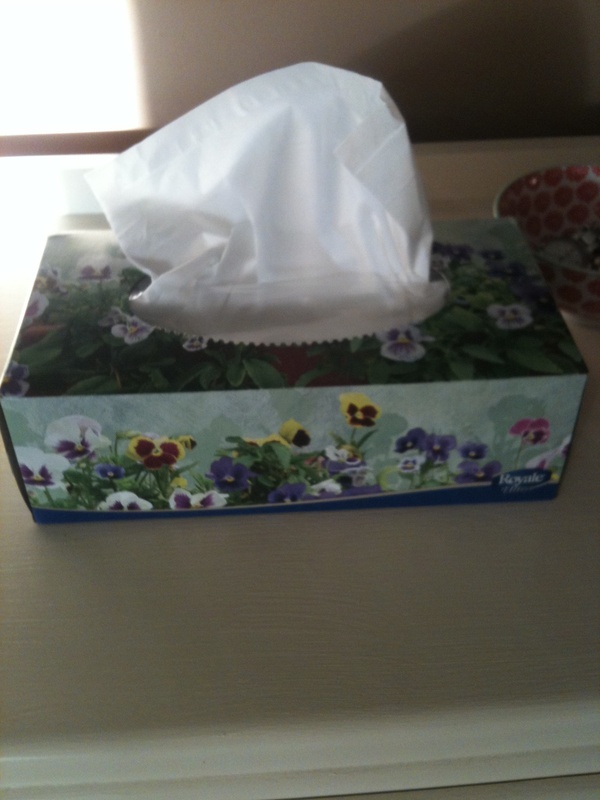 I just realized something: I’m totally buying the old lady Kleenex brands. It’s the only possible explanation! The familiar, antiquated patterns have nostalgic appeal for the elderly and remind them of significant times in their lives when Kleenex was really there for them: their wedding day, the birth of their children, their great-grandchild’s first sleeve tattoo. Oh, so the problem is me then? I see. That’s… ok… well (sniff), I can (sniff) handle that… (sniff, sniff). Great (sniff). Now I’m crying. Someone get me a Kleenex! This entry was posted in Uncategorized and tagged abdominal cramps, design, kleenex, kleenex boxes, life, lily pads, love, quirky, seth meyers, seth meyers weekend update, subway trains, write, writing by lovewritenow. Bookmark the permalink. You wouldn’t think it would be that hard! OMG! I stand in front of the tissue for so long, moving boxes around to find something that is not entirely objectionable. When I do, it is not for Kleenex Ultra Soft. Kimberly-Clark needs to get with the program and bring the public simple color ways and designs. 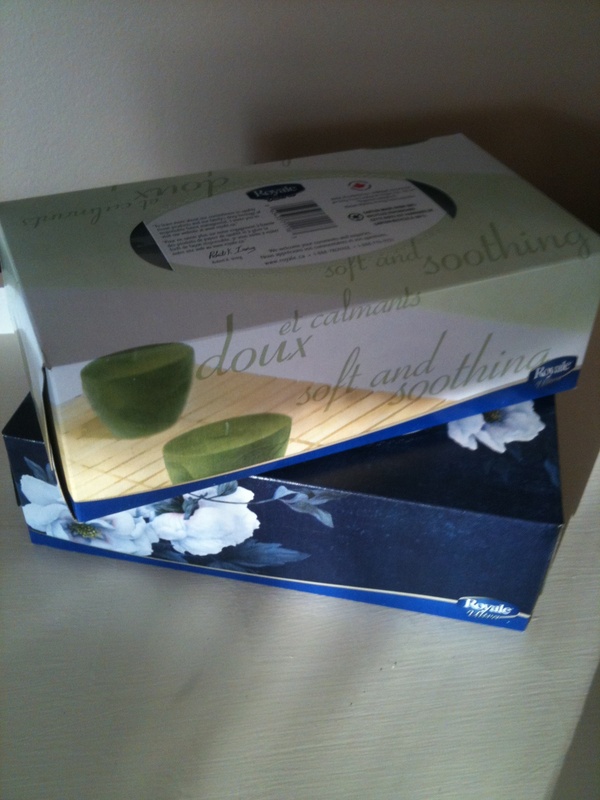 Why are all the kleenex boxes look like they belong in the 60’s/70’s psychedelic era. I want something nice, not something that makes me think of hippies.